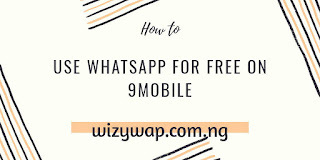 9mobile just lunched a new data offer which gives you access to WhatsApp for free. 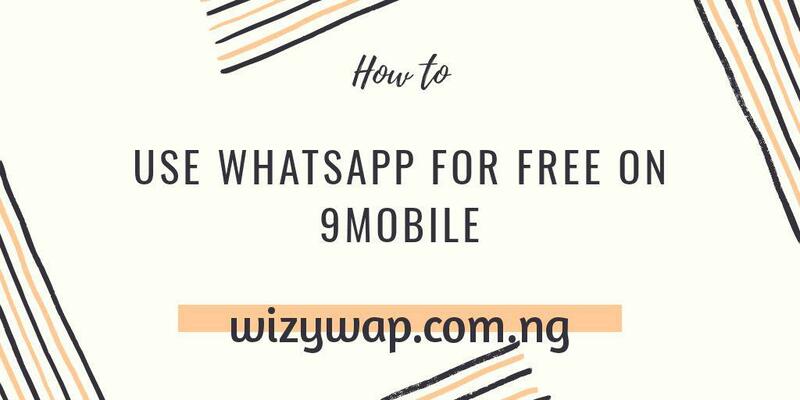 To get 9mobile free WhatsApp you have to buy any of their daily/weekly plans and monthly plans. Free WhatsApp is currently available on 500MB, 1GB, 4GB & 7.1GB monthly plans and all daily/weekly regular data bundles. Free WhatsApp coming soon to all other regular monthly bundles. Free WhatsApp is not available on night, weekend, quarterly & yearly bundles. Free WhatsApp not available on Smartpaks. Here are the list of available plans on 9mobile. plan costs ₦1,000 & valid for 30 days. buy online or dial *229*2*7# (tap on mobile). no sms option. plan costs ₦1,200 & valid for 30 days. buy online or dial *229*2*25# or sms AND11 to 229.
plan costs ₦2,000 & valid for 30 days. buy online or dial *229*2*8# (tap on mobile) or sms AND2 to 229.
plan costs ₦3,000 & valid for 30 days. buy online or dial *229*2*35# (tap on mobile). no sms option.